Less than a month after LG launched the 128 GB LG v30 Plus in India, the company is now all set to launch a Raspberry Rose variant of the LG V30 at CES 2018. The annual consumer electronics show is set to begin on 7 January and go on up to 12 January. The new variant which LG claims in a blog post to have been designed for "fashion-conscious smartphone users" will be on display at CES 2018 and will rock the same internals as the regular LG V30 launched in October 2017. 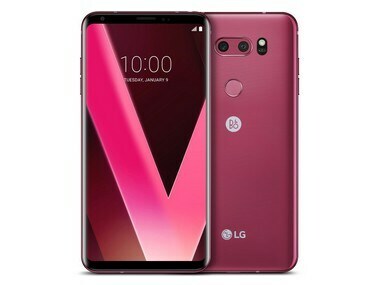 The colour, which images suggest is a more saturated version of red, according to LG should be an ideal pick as a Valentine's Day gift next month. The premium flagship smartphone from LG features a tall 18:9 6-inch QHD+ POLED display that comes with minimal bezels all around. 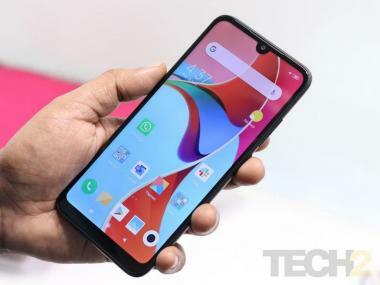 It features a sandwiched glass and metal construction, with two screens of curved glass covering the front display and the rear panel of the device. LG claims that the V30 is not only IP68 dust and water resistant, but has also passed the military-grade US drop test standards, which should make for a very sturdy device. The core hardware is pretty much the standard stuff, we have come to expect from flagship smartphones in 2017. Buyers will get a Qualcomm Snapdragon 835 SoC paired with 4 GB RAM and 64 GB of internal storage. The rear camera features a 16 MP (f/1.6 aperture, 3-axis OIS, PDAF) + 13 MP (f/1.9, no AF) setup. The selfie camera features a 5 MP shooter with a f/2.2 aperture. Also special, are the audio capabilities of this device. LG has included a 32-bit Advanced Hi-Fi Quad DAC, which is powered by ESS Technology's SABRE ES9218P. The smartphone is powered by a 3,300 mAh battery and runs on Android Oreo which was rolled out by the company recently.